32-voice performance mode doubles the polyphony for single instrument/oscillator sounds. The Sequential Prophet X is a new, bi-timbral, 8-voice-stereo (16-voice mono) synthesizer that combines samples and synthesis. At the heart of its sound is a newly developed engine that powers two simultaneous 16-bit, 48kHz sample-based instruments plus two highresolution digital oscillators with waveshape modulation — all processed through analog filters. 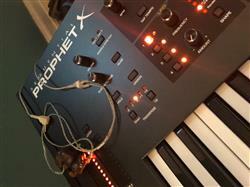 The 150 GB sample library in the Prophet X includes numerous acoustic and electronic instruments as well as an extensive collection of ambient and cinematic effects. 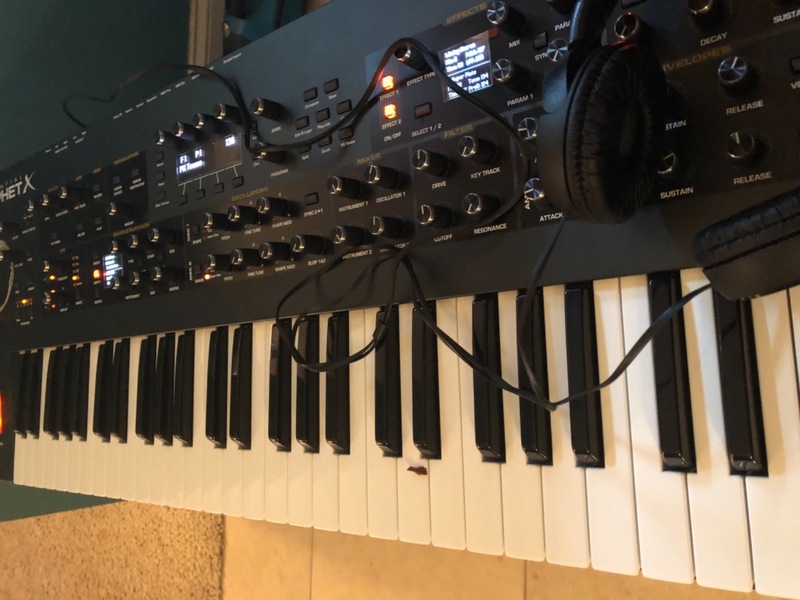 Users can shape the samples through loop manipulation, sample stretching, and the synthesizer’s many sound-sculpting functions which include 4 envelope generators, 4 LFOs, a deep modulation matrix, and other tools. The Prophet X also provides 50 gigabytes of internal storage for importing additional samples. Several sample libraries will be available from 8Dio at launch. Support for user-created sample content is planned for December, 2018. A dual-effects engine provides multiple reverbs, two delays (standard and BBD), a chorus, flanger, phase shifter, rotating speaker, high-pass filter, and distortion. In stacked or split voice mode, you can apply two different effects to each layer. Effects parameters can be modulated through the mod matrix as can the samples themselves. A polyphonic step sequencer allows up to 64 steps and up to 6 notes per step, per layer. 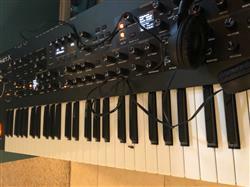 The Prophet X features a premium-quality, five-octave, semi-weighted keyboard with velocity and channel aftertouch, an integrated power supply, USB support, and three OLED displays. This was my first time buying from Chuck Levin’s and I was very impressed. I worked with Denar and his communication and quick responses were great. Great price and quick shipping. Will definitely be going back.